A couple weeks ago, we hosted TEC 101 here at the PAC. For those who have never attended, allow me to explain: TEC 101 is an opportunity for members old and new to meet in a friendly and fun environment while also getting hands-on experience with the equipment. 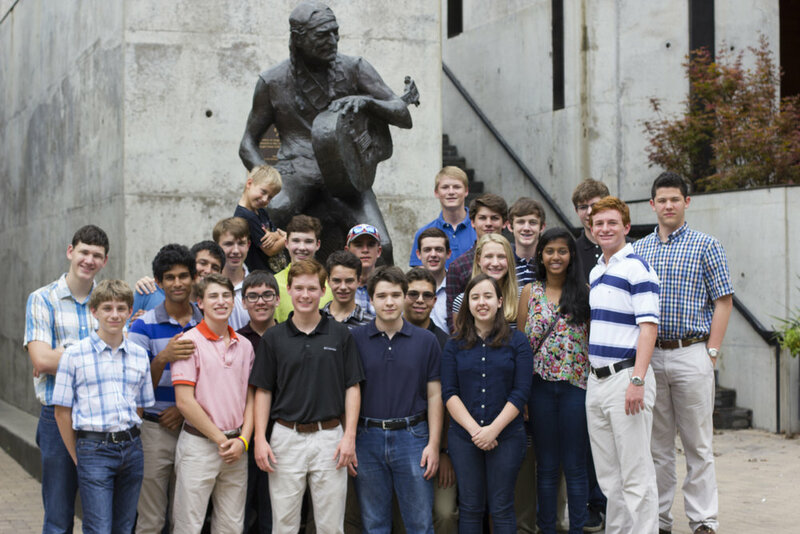 For many younger members, this is their first chance to get involved with the TEC program outside of the classroom. Regrettably, I didn't attend this event as a freshman but I've made sure not to miss a chance like this again. I had very different experiences each time I went. As a sophomore, I already knew most of the freshman; however as a junior, I saw numerous unfamiliar faces. Regardless of my age, I always look forward to TEC 101 as an opportunity to meet new people and learn something new. 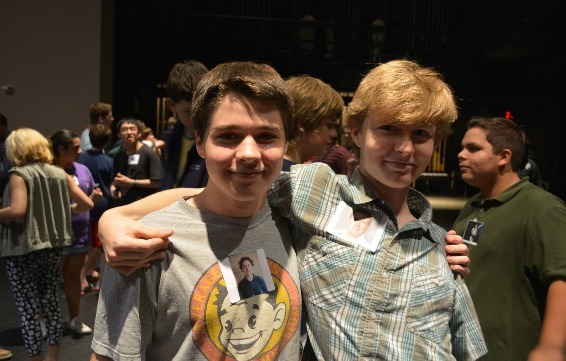 Immediately after school, more than fifty TEC members gathered backstage to socialize and enjoy some snacks. After meeting with each other we broke the ice with a few activities to bring the group together then sat down in the theater to watch our Mission Statement Video. This video features several members of the TEC program and demonstrates the values that we strive to live by within the organization every day. From there, we split up into small groups and visited various stations inside the Concert Hall. These stations included audio, conventional lights, moving lights, camera and video production. All the stations were led by the TEC Officers and gave the younger members unique opportunities such as designing their own light look or hearing their favorite song on the PA system. I taught the moving lights station, a unique opportunity considering the fact that we generally only use the moving lights rig for larger events in the PAC. This was also a chance me to brush up on the Hog (the moving light console) myself. As I discussed the functions of the board and our rig of light, I could see the curiosity in everyone’s eyes. This is what inspires me to continue with TEC. I get to see the future of the generations rise up and take their place like I am now. I can't help but think back to when I had an older member teaching me these things, and it makes me think just how old I am. For the younger members, TEC 101 is seen as a chance to meet some people as well as get some hands-on experience with the equipment, but for me, for the older members: TEC 101 is an amazing opportunity to see the future of this organization. We'll just have to wait and see where the newer members take TEC in the next few years. The famous author of the Percy Jackson series, Rick Riordan, visited Westlake High School for a day of signing and speaking in celebration of his new book, The Blood of Olympus. Over 1,100 people attended the event to receive a signed copy of Riordan's new book, some coming from as far as Mexico! Riordan spoke to the crowd about his writing history, his new books as well as his inspiration. I was one of the lucky few who had the privilege of working the event from behind the scenes, directly with Riordan. I was given the opportunity to see how Book People runs a book signing event in which we helped Riordan sign over 1,200 copies of his new book in under 30 minutes. We all shook his hand and discussed our favorite books of his. It was one of the most memorable events I have worked because of the huge influence his books had on my childhood. Every summer, several weeks before the start of the school year, 23 dedicated members of the Westlake Technical Entertainment Crew meet to begin preparation for broadcasting the Chaps' varsity football games throughout the season on Time Warner Cable. The students selected to participate in this program are recruited months in advance and must be completely dedicated to the task of producing broadcasts comparable in quality to those of professional television networks. Crew members are typically expected to dedicate three nights each week to preparing for and carrying out the video broadcasts. Just like the football team, as well as groups like Hyline, the marching band, and cheerleaders, we are often pulled out of class early on Fridays when we are traveling to an away game. I came into the program for the first time this summer with a basic understanding of the basic operations of the Television Broadcast Crew. I was assigned, along with another newcomer, to the tasks of video engineering and cmoputer graphics. I understood the general idea behind my position, but my knowledge more or less ended there. Still, I was amazed when I walked into the Performing Arts Center on the first day of training to learn just how much was involved in broadcasting live football. We began the first day with a brief history of the program, followed by seemingly endless hours learning the specifics of football, camera operation, and the layout of the facility from which we would broadcast home games. By the end of the day, my head was spinning and I was exhausted. Would I be able to make it through the week? I felt like I could really use a time out. The next day was more of the same, but we started delving into the individual roles given to different crew members. Each of us learned what the other members were doing in order to better understand how we would fit into the big picture. Things became progressively easier as the week went on. It was incredible to see the transformation of all the new members, myself included, happen so quickly, going from wide-eyed novice to confident team member. Because there were more new, inexperienced crew members this year than there have been in recent years, there was some concern about whether the group would be able to function as smoothly as in previous seasons. With that thought looming in the back of their minds, the team leaders of video crew were pleasantly surprised to find the opposite of what they had feared. By the end of the first week of training, although they had only just put their toes in the water, the new camera operators looked confident and capable. I, myself, went from knowing almost nothing to being able to take a camera output signal that had purposefully been altered to settings at wildly inappropriate levels, determine what was wrong, and remotely adjust the camera settings to obtain a high quality, visually pleasing image. At that point, summer training was almost over and I had to spend the next week mentally preparing myself to tackle the season opener, scheduled for Friday of the first week of school. Hopefully I would be able to take the new skills I had learned and contribute to a great first broadcast! All in all, I had a great experience this summer transitioning to being a member of the Television Broadcast Crew. One of the most valuable lessons I learned was the importance of teamwork for the success of the program. If any one person is not giving their best effort to help the rest of the group, the end result suffers. Without the dedication and commitment of everyone involved, it would be impossible for us to do what makes us so successful: putting on professional quality television broadcasts to entertain the dedicated fans of Chaps' football. When I was first confronted about the idea of being Head Grip for Zenith, I was terrified. The thought of being responsible for an eleven person crew was scary enough, not to mention the additional responsibility of all the props and equipment that had to move on and off stage during the show. I nervously accepted the challenge after some encouragement from Mr. Poole, and my experiences from that show became some of my most memorable and rewarding in TEC. Zenith taught me more than I ever imagined about the value of leadership, trust and passion. It gave me the opportunity to grow as a person and a leader, and prepared me for my upcoming senior year. Leadership is much more than being in charge and giving out orders. It includes building the knowledge and confidence of your crew and being a positive role model. 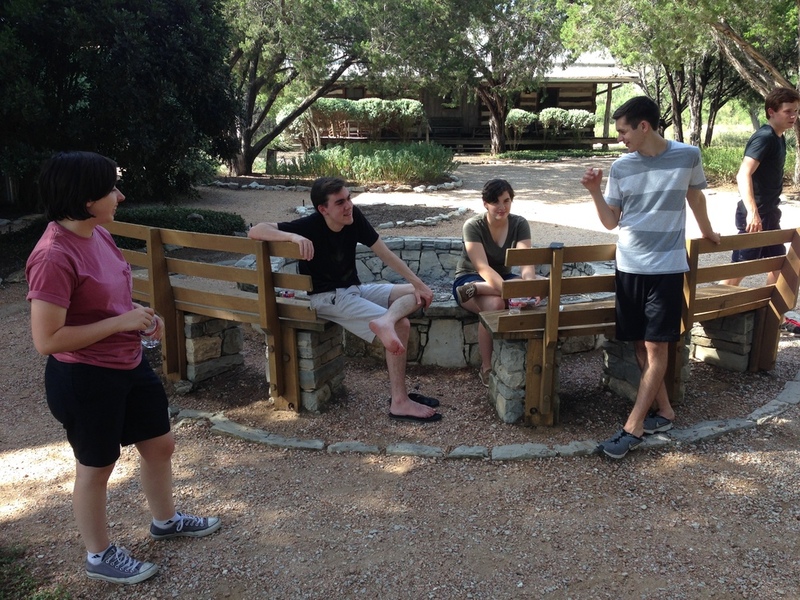 During our pre-show meetings, leadership is often called the "glue" that holds our organization together. Strong leaders are imperative to the success of any major production, including Zenith, but leadership isn't limited to the crew heads. Any crew member, regardless of age or position, can exhibit leadership qualities at any time. Even during seemingly trivial set changes, I was always watching my crew members, waiting to see who would take charge. Whether it be rolling the piano on-stage, changing shinbuster gel colors, or even just doing homework backstage, I always enjoyed seeing someone rise to the occasion and take ownership of the task at hand. With a sophisticated show like Zenith, the grip crew was constantly moving props and equipment on and off stage, so delegation was important in order to take care of the scene changes as quickly and efficiently as possible. It didn’t take long for me to realize how important trust and delegation were to the success of the show. With the amount of moving parts on-stage, there was no way for me to oversee everything going on at once, so I had to trust that the grip crew was following along and ready for whatever came next. At first, this was hard for me. I wanted to personally supervise everything that was going on and help wherever I could, but after a couple long and stressful rehearsals, I realized that it wasn’t necessary. Trust started to grow within the crew and they constantly impressed me with their preparedness and hard-work. 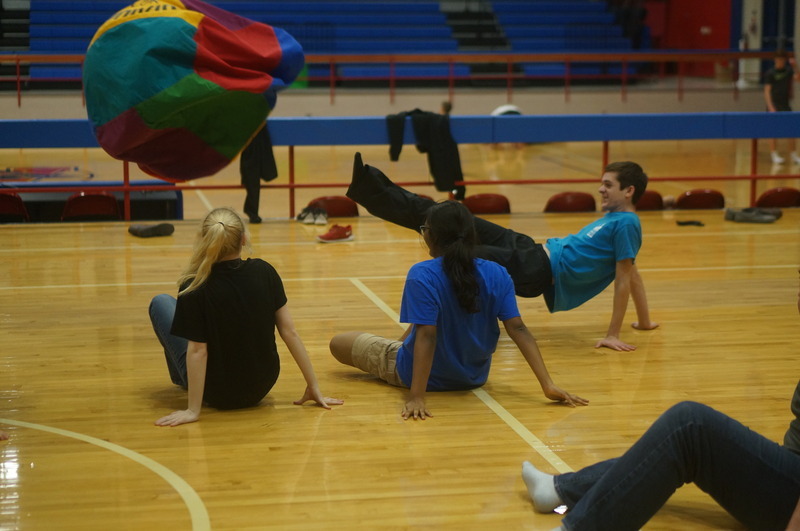 This trust led to a much smoother, calmer show because everyone could focus on their own responsibilities without worrying about everyone else’s. While leadership is the glue that holds TEC together, passion is the motivation to keep moving forward and improving. Passion is what kept us going during the long rehearsals and late nights. Passion is the motivation to put on a successful show. Without passion, the show would seem half-hearted and boring. Whether that motivation came from the competitiveness within the grip crew or just a desire to put on the best show yet, I found that passion was, without a doubt, the most important contributor to a great show. It’s what kept us striving for perfection during the long rehearsals and it paid off in the end after three great shows for the Zenith audiences. In conclusion, Zenith this year gave me the opportunity to grow as a person and a leader. It was challenging at times but more importantly, it taught me more than I ever imagined about the value of leadership, trust and passion and provided me with memories that I will cherish forever. Earlier this semester, I had the privilege of stage managing this year's musical: West Side Story. Stage managing was certainly an experience I never expected to have. I joined TEC as a sophomore, a year later than most, and always felt like it was too late to be considered to stage manage. 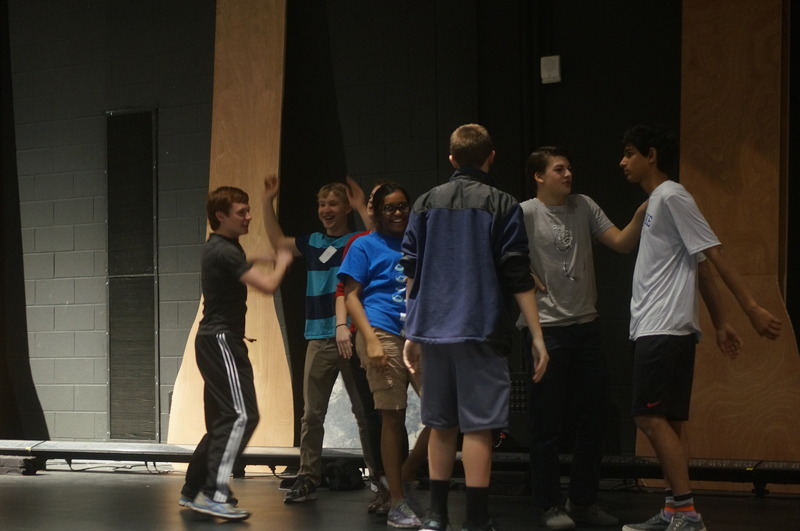 Usually, a small group of students are chosen as underclassmen then tested and trained to determine whether or not they would be a suitable stage manager for a future major production. This usually makes it clear who will be stage managing what shows throughout the year. This fact led me to assume any hopes of stage managing a major production were shot, as I was a senior who had no prior experience of any kind. The day I found out about stage managing was towards the end of December, while at dinner with a few TEC members and alumni. The alumni were asking who was stage managing the musical. We were all curious since no one knew except Feroz. After a bit of pestering, Feroz caved in and pointed at the stage manager. I followed his finger expecting it to be someone else, but he was pointing at me. I could only think "What? I'm stage managing? Me? That makes no sense at all." But, it was true. I had been chosen. I may never know exactly what I did to earn this position, but I can tell you one thing. The last day of Nutcracker: December 14th, 2013, sparked a chain reaction that changed everything. 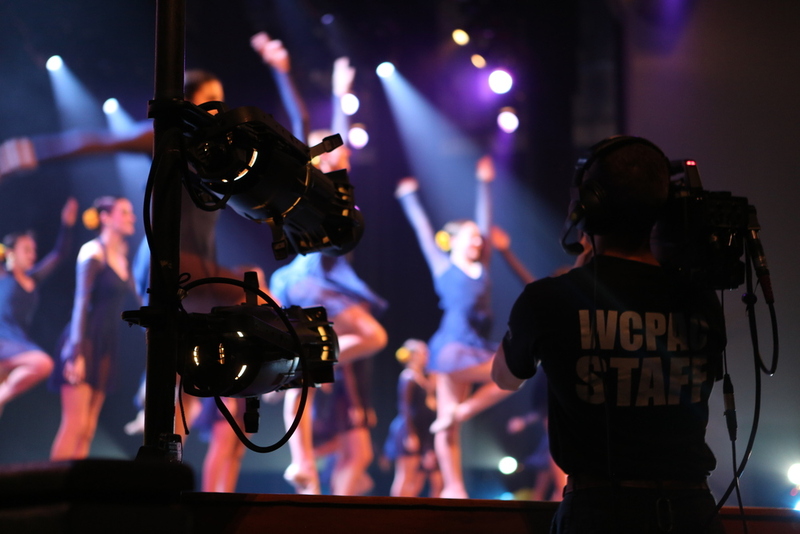 During Nutcracker, I was positioned as the head of grip crew. As a crew head, I took my duties list as well as the previous year's notes and did my best to ensure that my crew was taken care of and that the production ran as smoothly as possible. That night, I was chosen as the best crew head, an award whose recipient is voted on by their fellow crew heads. I was ecstatic to say the least. That energy drove me through a fantastic final show after which we began strike*, as always. I was on autopilot, my sole mission to get the crew dismissed as quickly as humanly possible. Suddenly, my name was called out over radio. I found the voice's owner surrounded by a small group of parents. The adults turned to look at me, bearing a look upon their faces that no one should ever witness. A look that guaranteed one thing and one thing only: something horrible had taken place. They told me something happened to my mom. My heart sank. Every possible worst-case scenario raced through my mind. Seeing how panicked I had become, they escorted me to the office for some privacy and told me everything. My mom had a major seizure while in Houston and was hospitalized. She was transported there via ambulance from a nearby restaurant where the seizure had taken place. The doctors had determined that the seizure was caused by cherry-sized mass found in her right frontal lobe (later removed and diagnosed as malignant - stage four glioblastoma, a form of brain cancer). At this point, everything felt uncertain, but one thing was clear, I was in no shape to continue the strike. It took me a few reads to really grasp the message hidden within the text. I thought I had read it wrong until my friend started screaming and hugged me, causing a ruckus that surprisingly did not wake her family up. It turns out that MIT really liked something about me and chose me as one of their 618 Early Action admits out of the 6,820 applicants. Who knew so much could happen in one day? December 14th, 2013 was both the best and worst day of my life so far. Definitely a weird day. So weird, that I wouldn't think it possible if I hadn't lived it myself. These past couple of months, so much has changed and, at times, it's been overwhelming. At first, Mr. Poole and I wondered if it would be wise for me to take on such an intensive role for the musical. My mom was sick and I needed to take care of both her and myself. However, before we even considered any alternatives, more people than I can name began taking care of us, making it possible for me to focus my extra energy on stage managing. I can never thank those people enough. Though I was wary coming into stage managing a massive production like West Side Story, it was definitely worthwhile. I've seen my friends stage manage before, but I still wasn't exactly sure what to expect. It's just one of those things you can't grasp until you've done it yourself. The most obvious thing a stage manager does is call cues from the cue book. Simple enough, right? Well, not exactly. You have to construct each statement in a way that conveys you are sure of yourself and always be prepared for what's coming up next. If the cue, follow spot, scene change, or sound effect doesn't go off, it's not the operator's fault -- it's yours. That's the toughest lesson to learn. It's so easy to be frustrated with someone else for not being ready, but it was ultimately your responsibility to make them ready. It's not possible for your crew to memorize an entire script and the cues that coincide with it in a week (or ever, really). 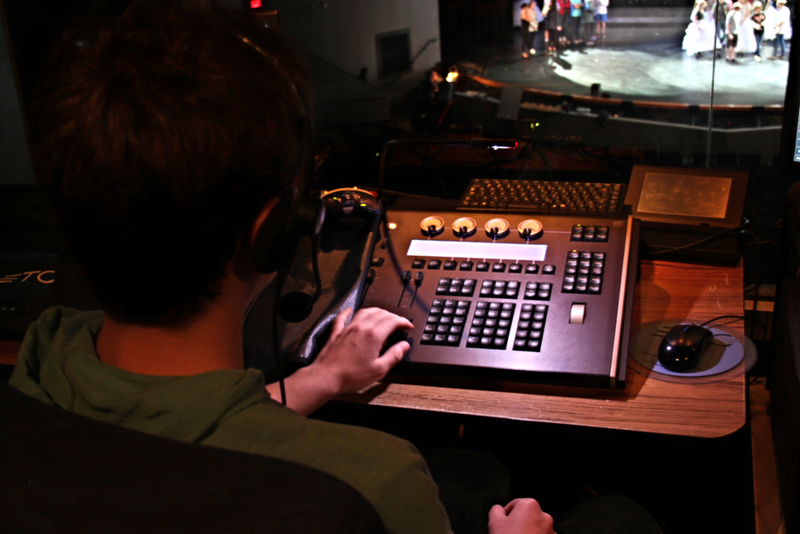 As the stage manager, you have the only copy with light cues that's in use, so you have to help your crew out. Also, you have to remember what's really important. An early light cue isn't the end of the world. Chances are no one even noticed anyway. The most important thing is your crew. Are they having fun? Staying healthy? Doing their homework? Of course, you can't possibly monitor forty people and take care of all of the behind the scenes logistics, let alone yourself, without some help. Fortunately, I had just the right people. Each crew was headed by one of my closest friends and the effect on the production itself was fascinating. This show was unique because it ran so smoothly both in a technical sense and within the crew. In the face of uncertainty, this show was something that could be certain. I'm grateful to have just been a part of it. *strike is the process of taking apart the set after a production has ended.